My most recent toy. 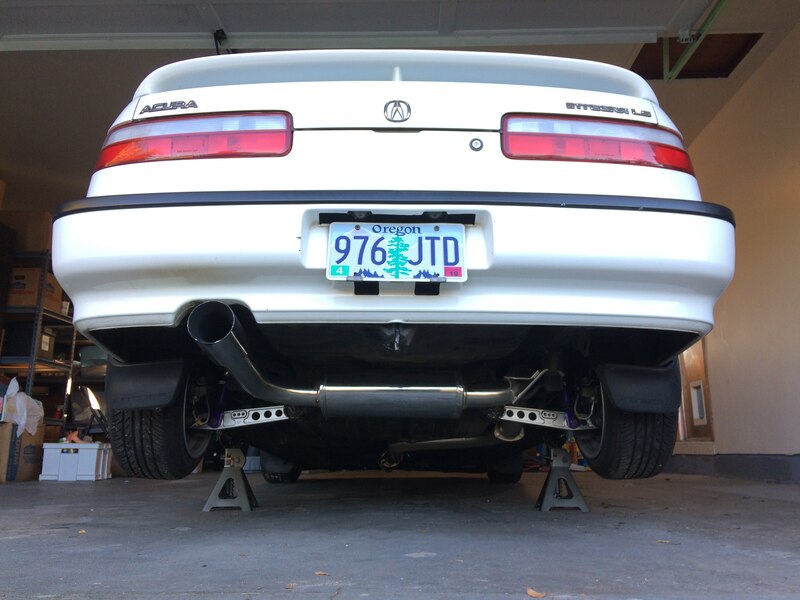 True '92 GSR. Sure beats my '90 1.7 GSR swapped one. ^ Very clean looking car! Those lights in particular look immaculate! Are those 17" K1's? And what's the story with that sunroof? 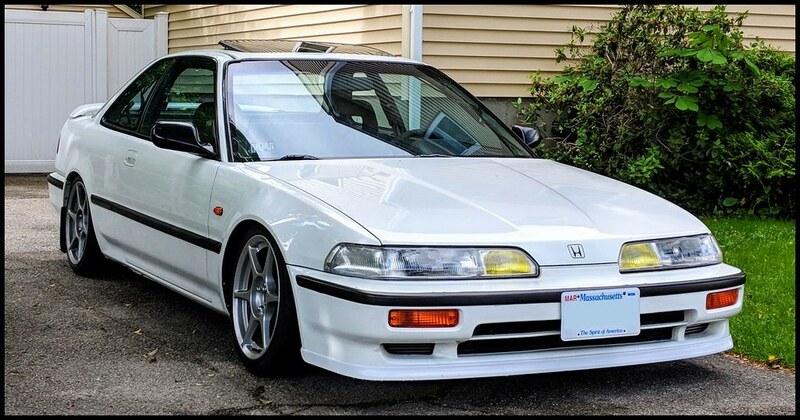 Back in the day I always wanted a pop up sunroof like that, I thought it sucked some of the other Hondas of the era had tilt back or up like that and that we didn't. OK, side shot definitely looks like 16's now. K1's always look kinda big and with how DUMPED you are on those skinny tires they looked huge, lol. Been forever since I've been here. My 1990 Honey Beige .... I've owned this car for 17years now. Bought when I was 16 with almost 72k on it & I'm 33 now. She's currently at 295k on original Engine. About a year ago I swapped in my a very low mileage YS1 transmission. 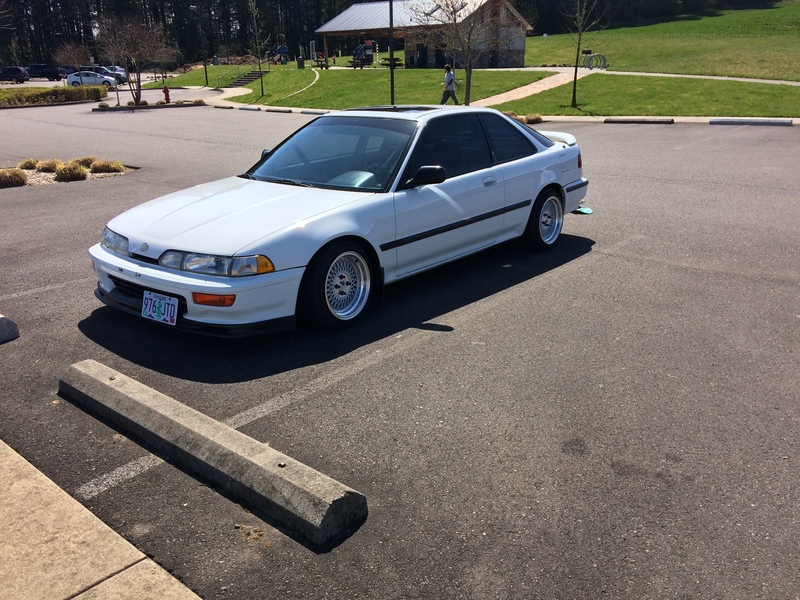 She's not super Low, sitting on some discontinued Eibach Sportline springs & Tokico Blues. I daily drive the crap outta her, so I cant be to low with the rural roads around my neck of the woods. Lots of little Add ons & touch ups to make it my own! I can't say this is my favorite pic but it is the latest picture I have. All times are GMT. This page was generated at 01:36:51.